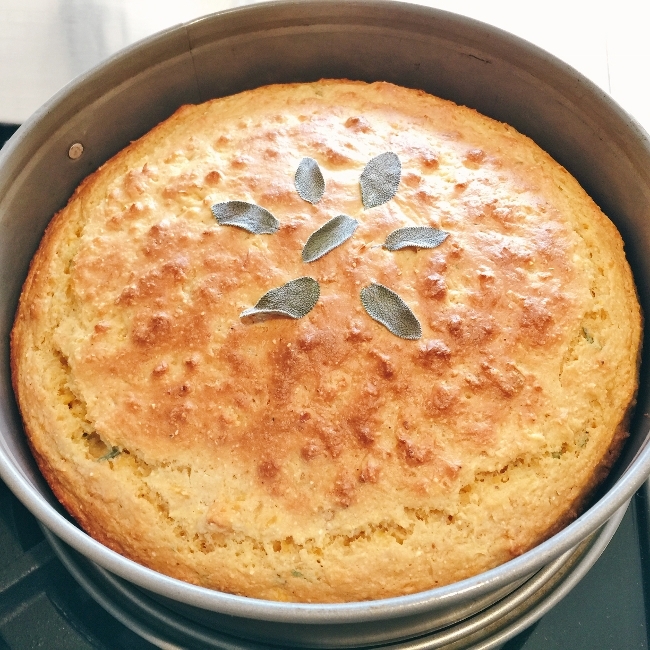 Sage Triple Cornbread - Recipe! - Live. Love. Laugh. Food. 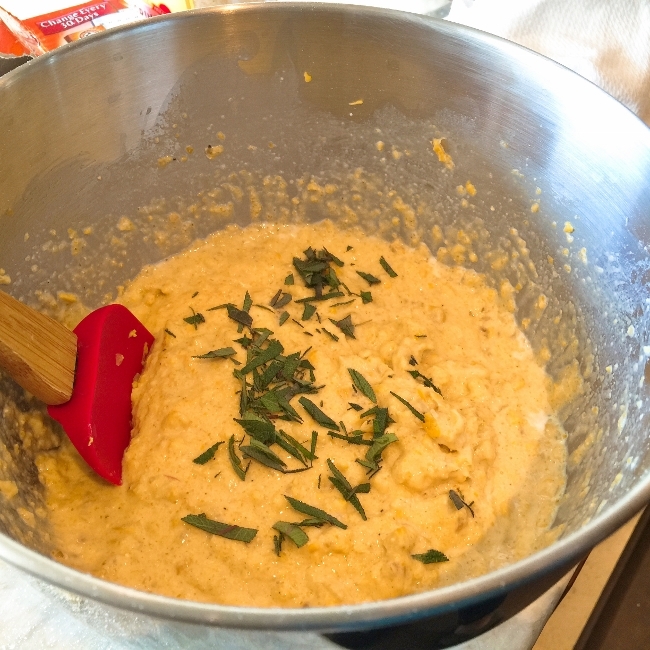 Sage Triple Cornbread – Recipe! Cornbread was something in my family that we ate on most holidays or with soup on cool evenings. 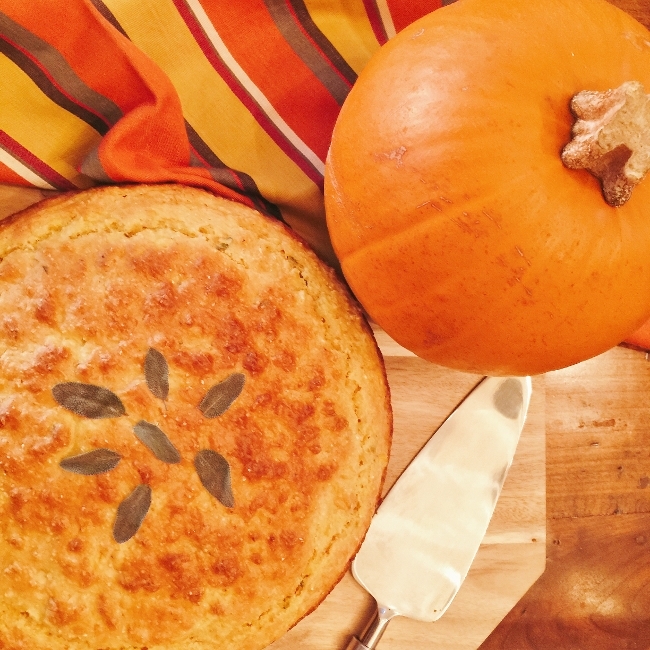 The southern roots of cornbread make it extra special, since the Bell side of my family came from Arkansas. 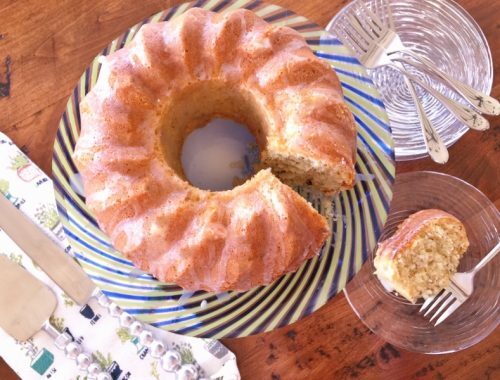 My Grandma Bell made some of the best traditional southern cornbread, not too sweet, similar to bread, not cake. 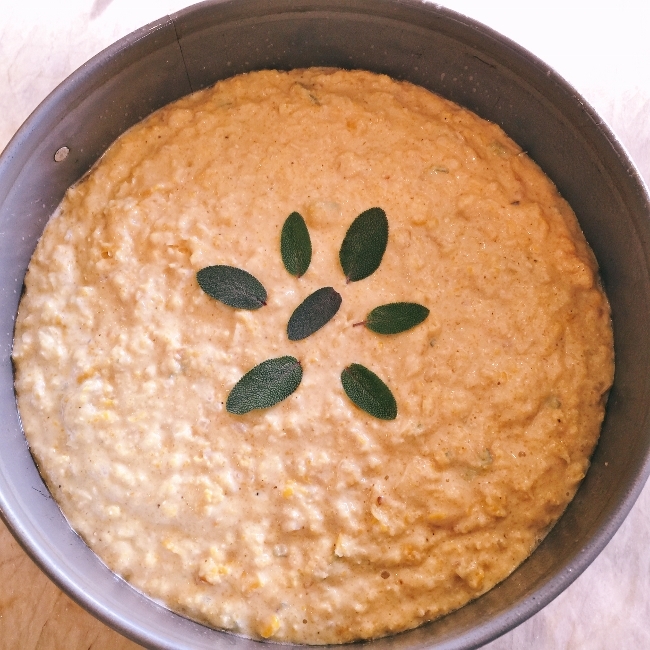 This recipe for Sage Triple Cornbread has a lot more corn than hers, but I do keep the sweetness to a minimum, so you can actually taste the corn goodness. 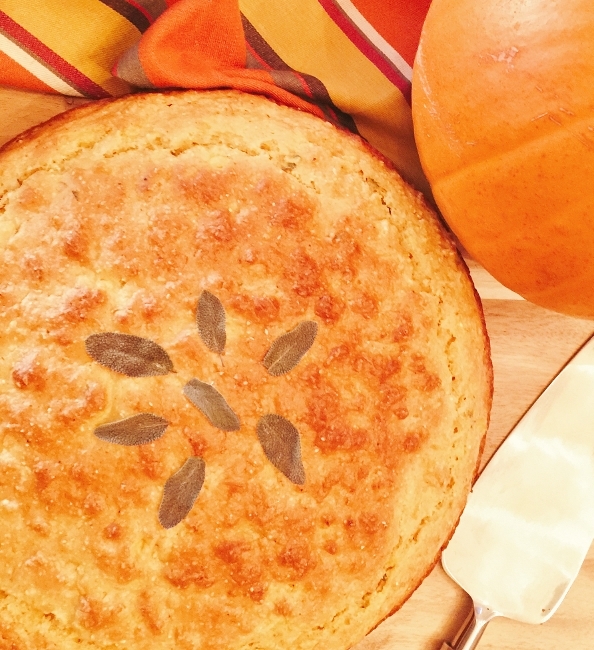 I like to serve this cornbread with softened butter or honey butter. 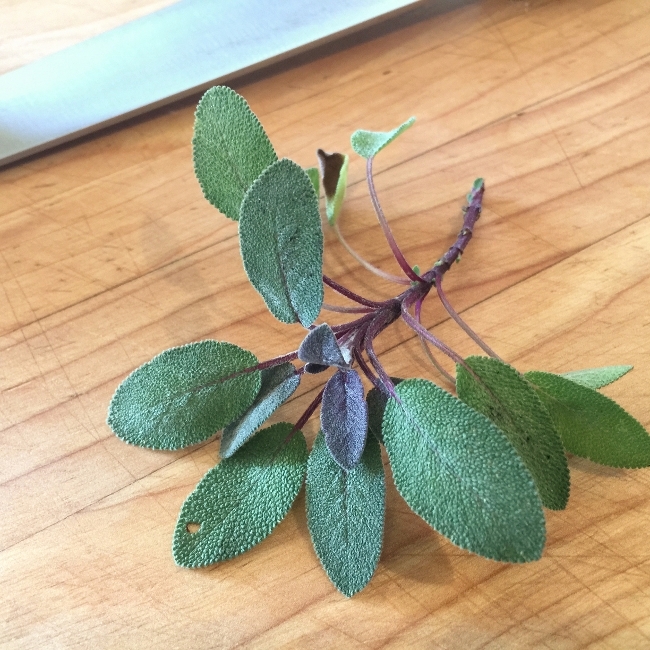 Also, Sage Triple Cornbread is perfect to cube, toast and use in stuffing or as croutons in salad. 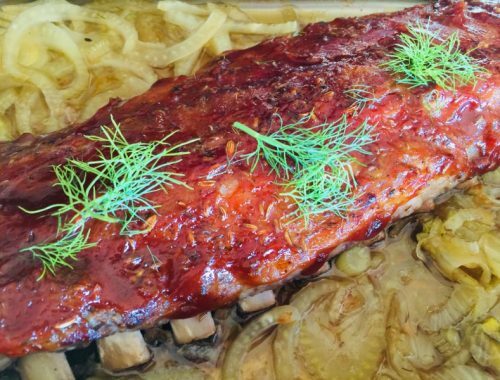 You can make this a day ahead and reheat it in the oven, right before serving. Just be sure to cover in plastic wrap and store in the refrigerator to keep it fresh. 1. Preheat the oven to 350 degrees. Spray or brush a 10-inch Springform pan or cake pan with oil. 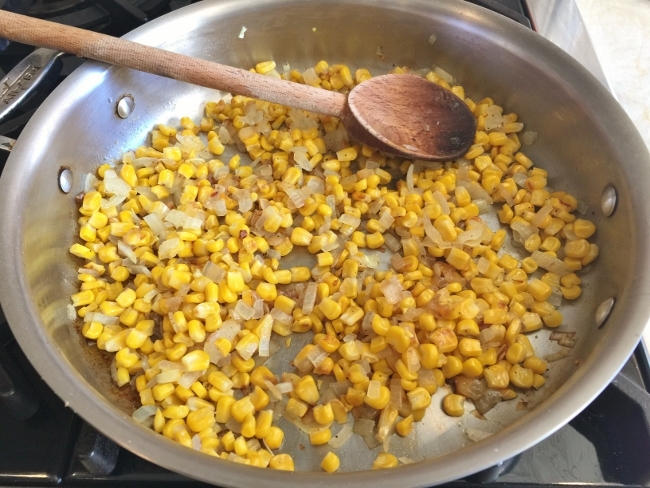 In a skillet over medium heat, add 3 tablespoons of olive oil, frozen corn, 1/2 teaspoon of salt and diced onion. Saute for 8 minutes or until the mixture is softened and cooked through. 2. 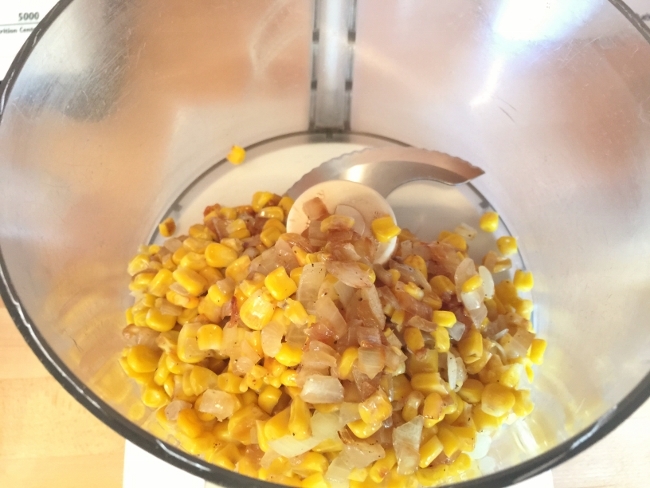 Add the corn mixture to a food processor and pulse 10 times until slightly coarse, but creamy. Set aside. 3. 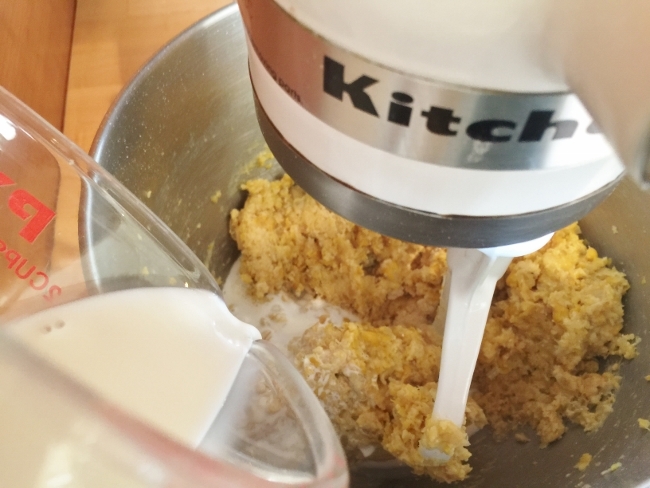 In a stand mixer, add the cornflour, cornmeal, flour, sugar, salt, baking powder and baking soda. Mix to combine for 1 minute. 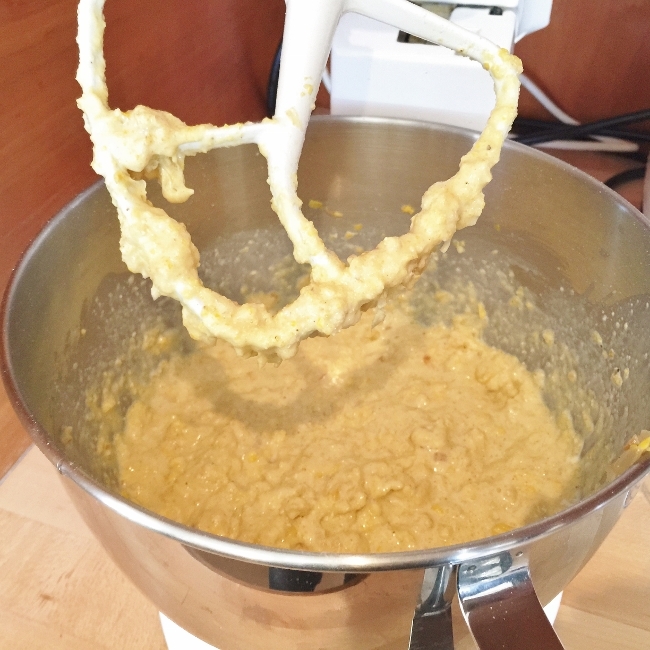 Add the eggs, honey and pureed corn mixture. Mix on low until mostly smooth, about 30 seconds. 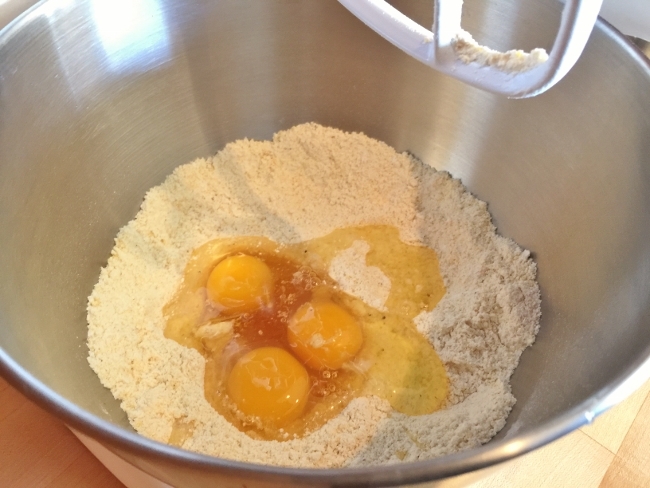 Then, while the mixer is running, add the half & half, continue to mix for 1 minute. Do not over mix, it makes tough cornbread. 4. Rough chop 10 of the 15 sage leaves and add them to the cornbread batter. Remove the bowl from the stand and mix by hand for 30 seconds to insure every is combined. 5. Pour the batter into prepared pan and place the remaining sage leaves in a flower pattern on top. Bake in the oven for 30-40 minutes or when a toothpick is inserted, it comes out clean. 6. 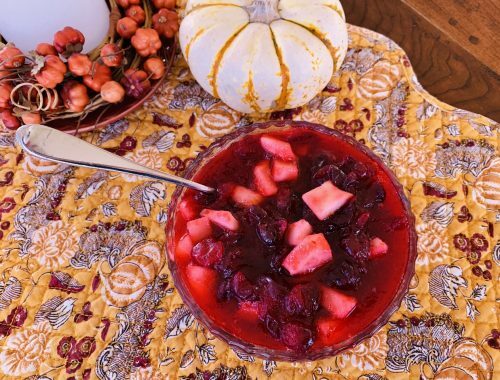 Remove from oven and let cool 30 minutes before serving or if using for stuffing or croutons, cool to room temperature. Slice and serve with fresh butter, enjoy!